Portland Green Student Village is Ouseburn Valley’s destination for student living and Newcastle's largest student community. Portland Green Student Village is made up of 4 buildings; Bryson Court, Marshall Court, Turner Court and Rosedale Court and it is widely regarded as the place to live in the North-East to get the most out of student life. Metnor Construction has spearheaded the multimillion-pound development project, which has also involved Newcastle architects the ID Partnership Group and a host of other businesses through the supply chain. Dams were awarded the contract to supply all the bedroom and kitchen furniture for plots 5 & 6 at the Portland Green student village. 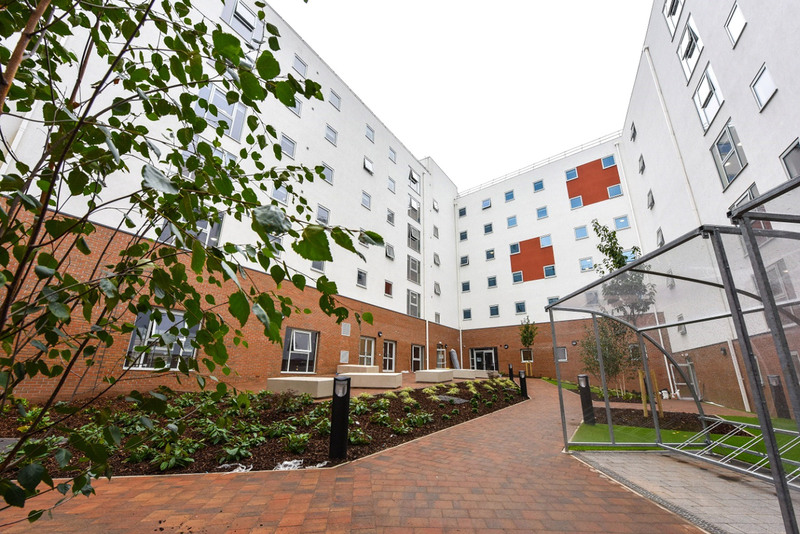 The contract consisted of the supply and installation of 551 student bedrooms and 98 communal kitchens. 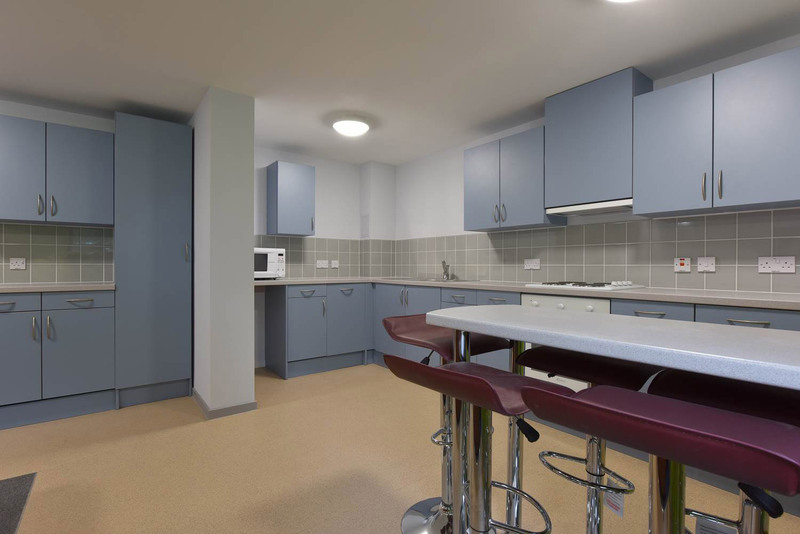 The student village provides modern purpose-built quality, en-suite accommodation with central on-site services in secure and comfortable surroundings. 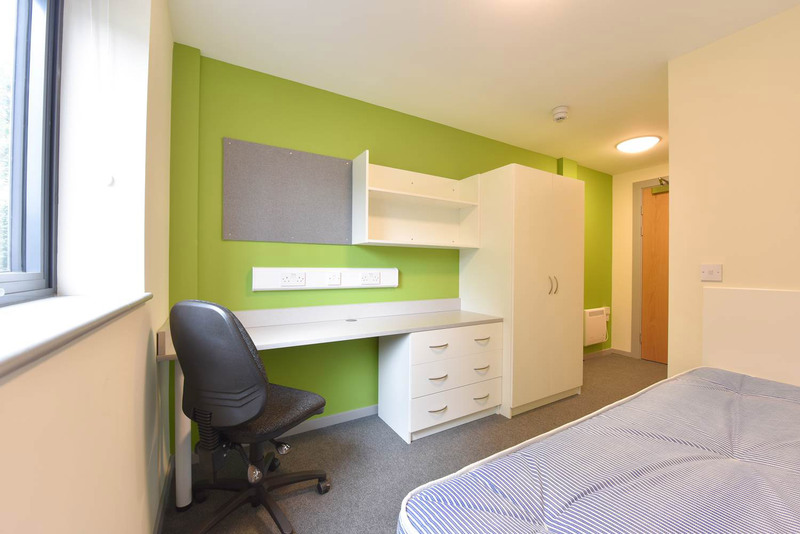 Premium cluster rooms (larger than a standard room) were also specified while self-contained studios were designed to give complete privacy with the option to socialise with other students in the building’s communal rooms. Dams expert design team helped address spatial planning, logistical and design challenges to ensure the furniture choices make the best use of the limited space available in each room. Our ability to understand, define and transform our client’s ideas and objectives means we could deliver a professional and accurate project. Furniture comprising of beds, side tables, study desks, chairs, cupboards and lots of storage options were designed and manufactured in-house to meet the requirements of any budget and room plan, with fast and reliable production, delivery and installation aligned to the unique project requirements. Dams worked closely with the architects and client from design concept, manufacture through to installation. 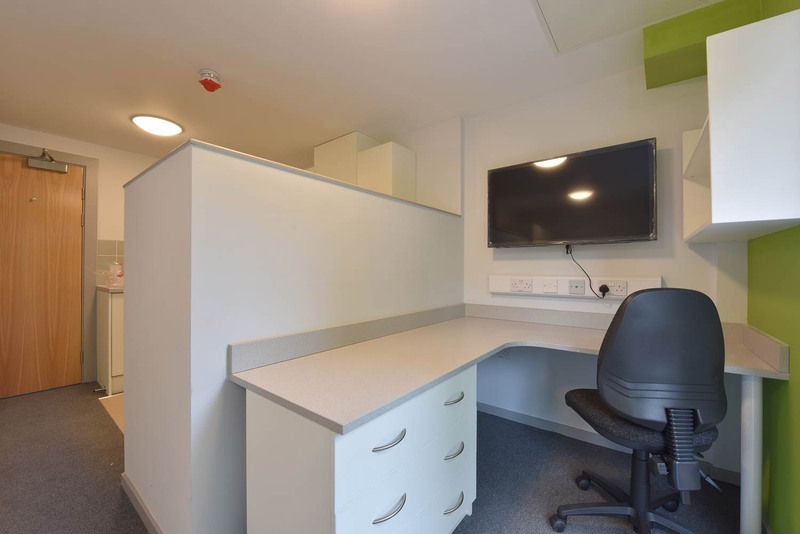 Our project managers understand the unique demands of the student accommodation sector and worked closely with other trades during the busy final fix period to ensure that the furniture was delivered and installed on site, with a hassle free approach to completing on time. At Portland Green Student Village students can now enjoy their own comfortable and cosy room in which to relax or study in peace. Each en-suite cluster room is arranged in a group of four to seven with a shared open-plan kitchen and living area, creating the perfect balance between a friendly communal living area and a private space to call your own. 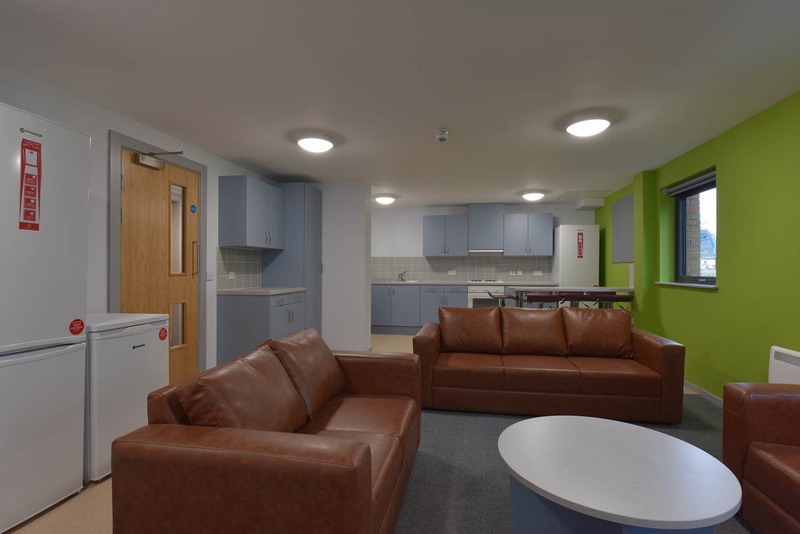 This contract adds the fast growing portfolio of student accommodation furniture projects undertaken by Dams, including product design, manufacturing, delivery and installation.